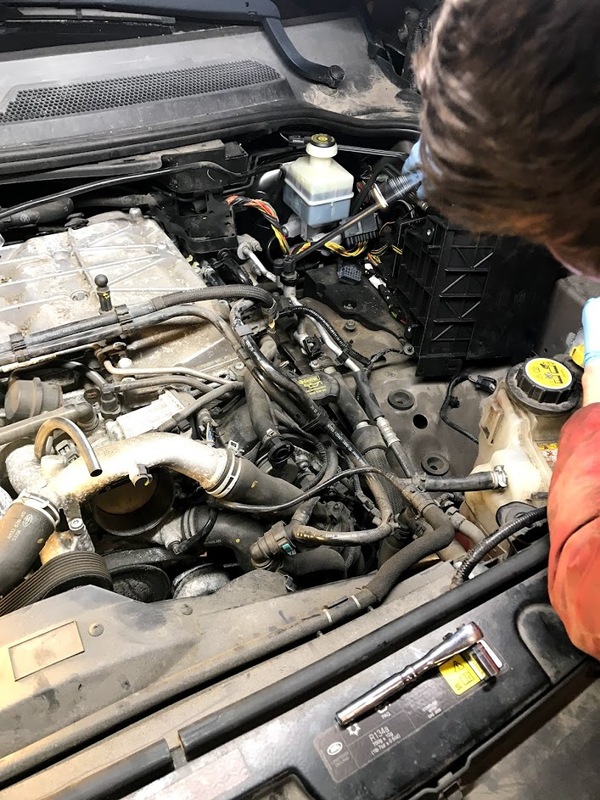 I replaced my drivers side spark plugs over the weekend - wasn't the easiest but not too terribly difficult. I tried to do the passenger side but the coils are blocked by part of the wiring harness that is wrapped in a plastic clip. I tried to remove the clip, but the rear part of the clip is extremely tight because the wiring is so tight against the back of the engine. I wasn't able to get enough play in the wiring to pull the clip off its mounting to access the coils, and I didn't want to pull too hard and cause damage. I went to the workshop manual that has been posted and unfortunately it only shows the drivers side graphic, with language saying the right side is similar. But only the passenger side has this wiring harness, and no clear instructions on how to remove it to access the coils. Has anyone done this before and if so can you tell me what I am doing wrong? Thanks! 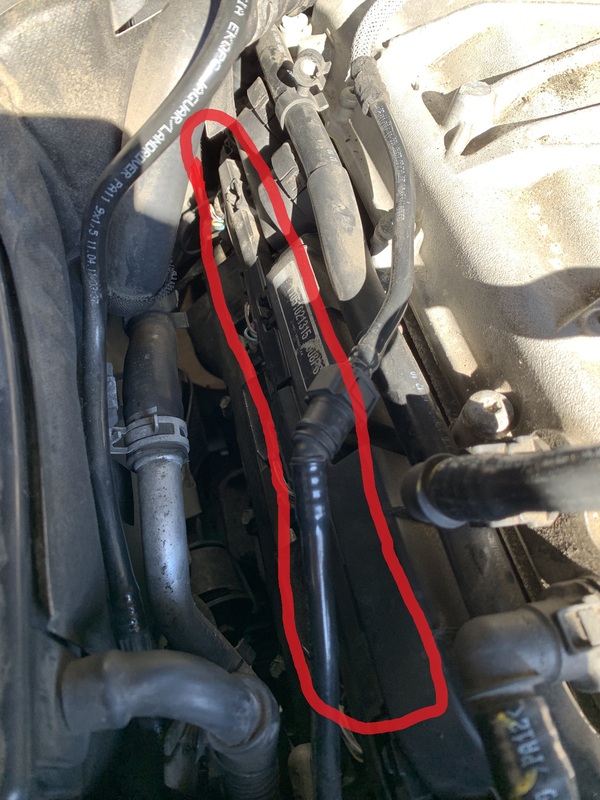 Hi - That black plastic rail (highlighted in yellow) contains the wiring harness for the injectors, coil packs, A/C temp sensor, and then the camshaft sensors and MAF up front. As I recall when we did this, you can disassemble the plastic box that contains the brake system and a computer to get better access. Take off the top, and the curved side wall that runs along the side of the engine clips out. then you'll have some better access to those plugs. Awesome - thank you! I'll poke around a bit more and see if I can disassemble those pieces as you describe. I'll take pictures and post them for anyone else trying this. Here are two pics, one from each side. You can get a sense of what you need to remove. FWIW, I was backwards on my driver/passenger side. 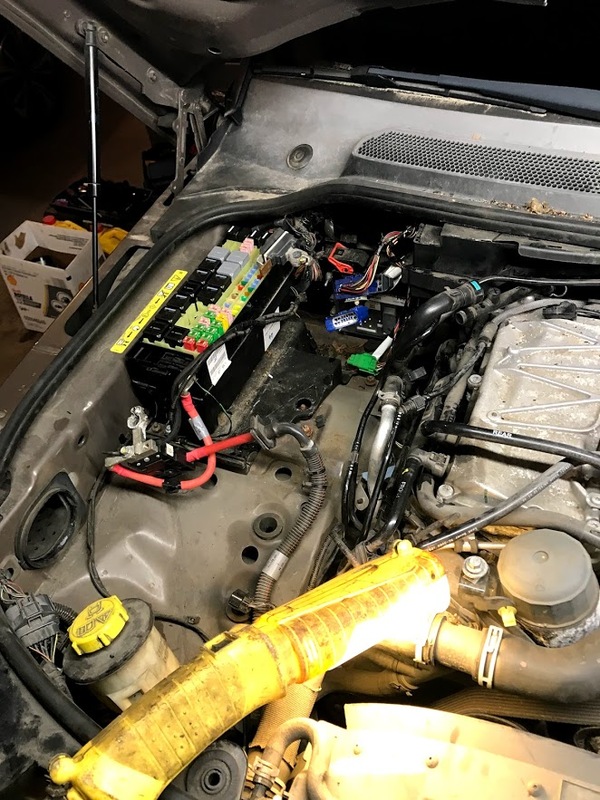 The passenger side has the ECU, battery and fuse box. The driver side has the brake booster and other computer in there. Wow - awesome - that helps a lot. I should have asked before starting - that would have made it much easier on the drivers side. Incidentally, did that make it easier to get the heat shield/foam pads that snug up between the wheel well and the spark plugs or did you leave them off? They were a ***** to get out and even harder to re-insert so I've left them out for now. I gotta ask because I am about to do mine while my engine is all apart. I remember reading somewhere that the spark plugs had to be clocked in a certain way. Has anyone ever heard of such a thing? 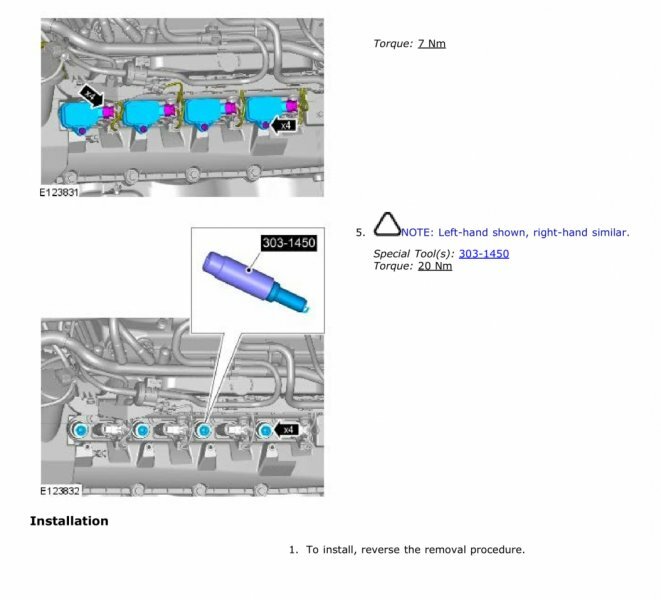 Don't forget that while the NA RRS uses imperial-spec blinker fluid, Land Rover recommends that you run metric blinker fluid on the supercharged models. Oh darn. I suppose I should exchange my blinker fluid for the correct stuff. It however doesn't make it a less valid question from a physics standpoint. It could easily sound like a silly question. But so is telling someone that I need to change my sway bar fluid. Far from being an invalid question. Measurable difference, likely not at all. However it was something I read on a forum just before I looked at the service manual procedure. Since I have the correct blinker fluid, and my sway bars are solid: I am still wondering what "clocked in a certain way" means. Plugs go in clockwise and come out counterclockwise -- is that what you mean? If so, no wonder u got a blinker fluid response . . . .
Leland, all joking aside... I do think I know what you are talking about. You want all 8 electrodes to be facing the same orientation when you've torqued the plugs in to spec in the holes. I've heard that it doesn't make a measurable difference. 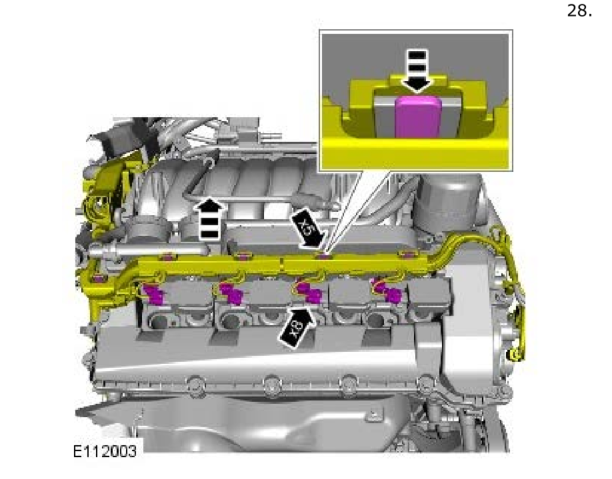 Plus it requires you to search through multiple plugs to find 8 that work with your cylinder threads. Not worth it. Yes, that is exactly what I meant. I couldn't think of the term for the longest time. Spark plug indexing. It seems like an absolute non worry however. I didn't see anything in my service manual about it and it seems to make little difference. The idea is so that the electrode is out of the way for the plug to ignite the mixture most effectively and keep it in the center of the piston. I asked just because I read somewhere recently about these vehicles supposedly requiring this. However that seems to not be the case. I will happily replace my plugs with some anti seize, a dab of dielectric grease on the connector, and the proper torque. Simple enough (aside from the AC line in the way). Aww crap I already topped it up with the easy-to-find blinker fluid as that's all WalMart had in stock. Now I have a warning light and diagnostic code E-LMAO coming up.